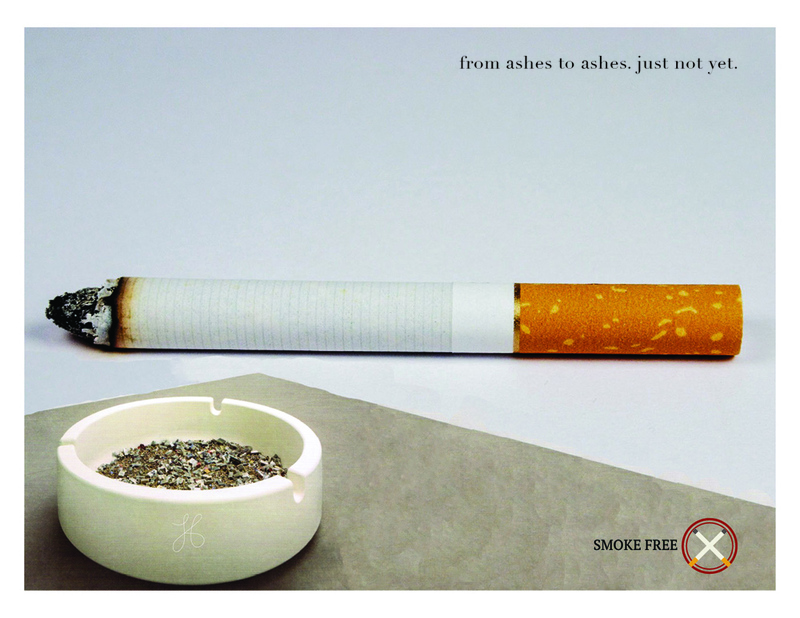 The relationship between cigarette smoking and terminal disease is well established. But how much of that stark reality should be incorporated into an anti-smoking ad campaign? Third semester Communications Design student Julian Acevedo experimented with this relationship in three ways for an assignment for his Advertising Design class with Prof. Thomas McManus. One is an obsequious reference, another seductively irreverent, and one blatantly portrays early death. “I wanted to show in one ad the cause, in another the effect, and finally the truth of how people–while knowing the facts and having experienced health problems–are stuck in a bad habit or addiction,” says Acevedo. 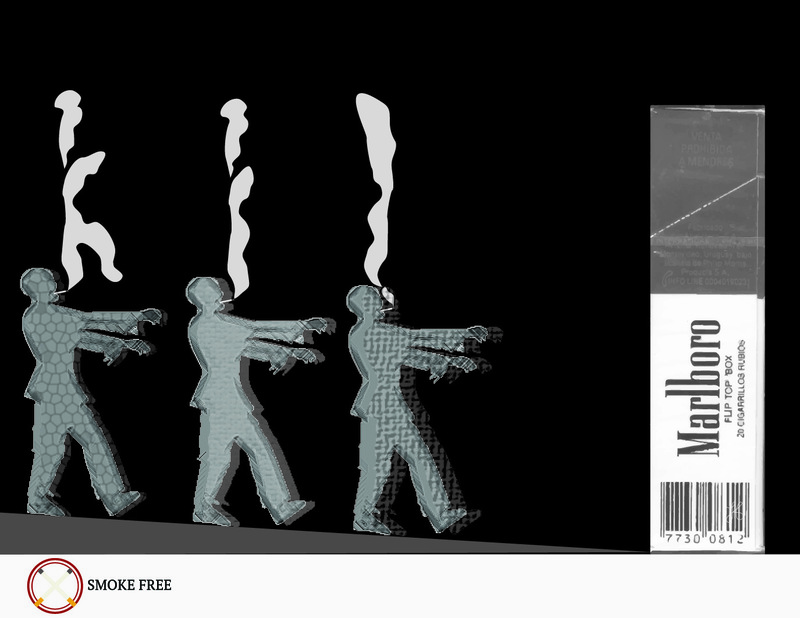 In the most brazen ad, three smoking, corpse-like figures sleepwalk down an incline. 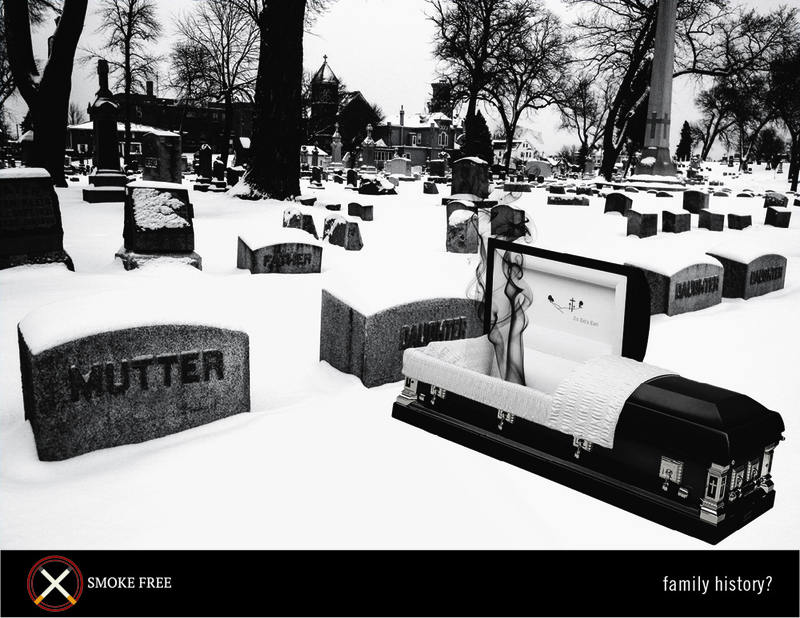 The entranceway toward certain death is represented by an iconic Marlboro cigarette box. In the scene of another ad, an open casket lies in a lonely, wintry cemetery. Black smoke arises from it, in what might be the shape of a women’s legs. Acevedo employed photography, digital collage and photo montage with typography. Acevedo choose his campaign theme after a conversation with a friend who had begun smoking to alleviate stress. “I felt the need to react in my own way to this, and that is art,” says Acevedo. This entry was posted in student work and tagged Elvin Kince, Julian Acevedo, McManus. Bookmark the permalink.